When the Nashville Predators stepped to the United Centre’s stage to announce their first-round choice in the 2017 NHL Draft, the organization must have been overwhelmed by the possibilities before them. 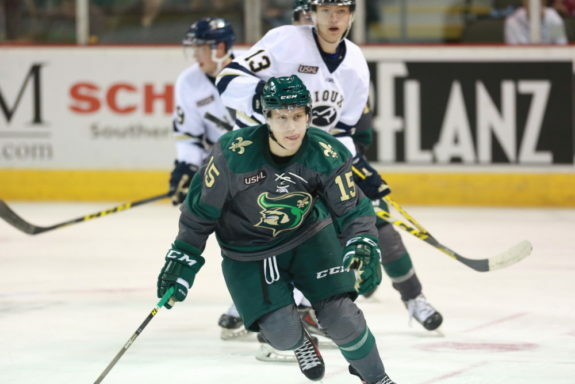 Despite holding the 30th selection overall, the Predators were fortunate to find themselves within an incredibly deep draft class, and one which offered elite talent to all teams throughout the first round and deep into the second. However, the biggest surprise of the entire event surely came when Eeli Tolvanen was disregarded by an incomprehensible 26 NHL franchises — effectively falling into Nashville’s hands. 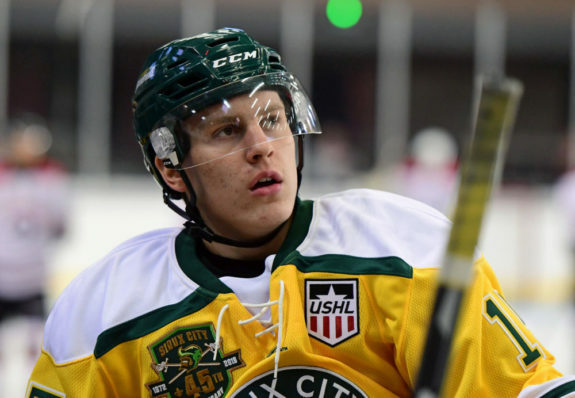 Projected to be made a top-10 choice in the Draft, Tolvanen’s ferocious fall was not only shocking but a tumble which the Predators stood determined to denounce. So, when Chief Amateur Scout Jeff Kealty stepped to the microphone to announce his team’s selection, Nashville’s choice was neither surprising nor shortsighted. And, although the team had clearly nabbed an incredible talent, it is safe to say that no one could have foreseen the success which Tolvanen has enjoyed since his selection. Was Tolvanen disappointed that he fell to 30th overall in the draft? However, Tolvanen’s fall immediately ignited an enduring determination to prove those who passed on him as misguided. Although he would be entering the Kontinental Hockey League as an 18-year-old to begin the 2017-18 season, Tolvanen’s resolve to improve his game and drive to establish himself as an elite NHL prospect overpowered any and all obstacles in his path. Not surprisingly, Tolvanen has been utterly dominant as a member of Jokerit thus far this season. In fact, his professional career began with a bang, as Tolvanen notched a hat-trick in the first KHL game of his career. White-hot to begin the campaign, Tolvanen would tally 10 goals and 18 points in his first 14 games played — a rate of production which placed him on the radar of the hockey world with resounding authority. However, Tolvanen would not stop there. 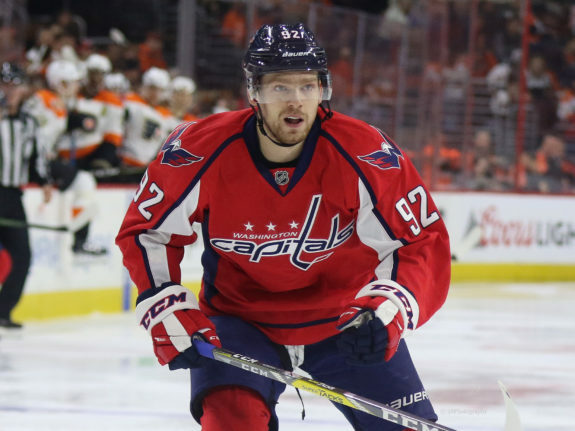 In 2010-11, current Washington Capitals star Evgeny Kuznetsov notched 32 points as an 18-year-old — a definitive KHL record which had stood tall for nearly a decade. Unfortunately for Kuznetsov, Tolvanen shattered this record this season, as he matched the current NHL star’s offensive output in just his 39th contest of the campaign, and has since gone on to tally 17 goals and 34 points in 47 games played. In addition to his sparkling offensive totals, Tolvanen has also been named as the KHL’s rookie of the month on two occasions, and as the league’s rookie of the week six times. Most recently, Tolvanen has taken his sensational skill set to the world’s biggest stage where, despite being the youngest member of Team Finland in the 2018 Olympics, Tolvanen has been the most lethal. Through his first three games played for his country, Tolvanen had scored three goals and recorded a whopping six points. 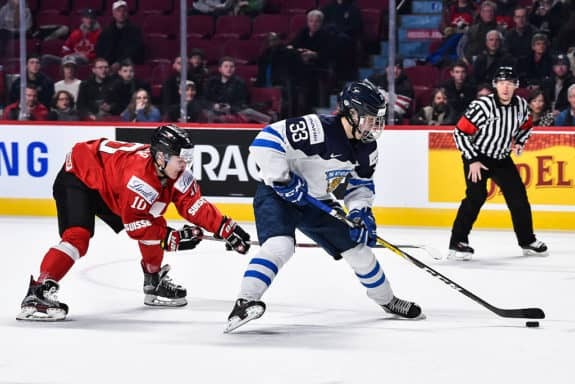 Ever dangerous in his opponents’ zone and capable of generating offence from broken plays, Tolvanen’s ability to play and succeed at a high level despite considerable inexperience has further solidified him as a young star. Perhaps it is Tolvanen’s ability to find success in the face of overwhelming odds which best defines him as a player. Regardless of the stage, his competition, age, or size, Tolvanen has consistently produced at both ends of the ice — a trait which he shares with the vast majority of today’s elite players. Not expected to be a major contributor at the Olympics, Tolvanen has once again defied the odds and strengthened his value in the process. The Predators have been a wildly successful team in recent years, and Tolvanen’s impending arrival could push Nashville and its tremendous fan base to the next-level. Although the Predators competed in the Stanley Cup Finals in 2016-17, they ultimately fell to the Pittsburgh Penguins in a decisive Game 6. Boasting tremendous depth up-front, on the blue line, and in-goal, Nashville remains a franchise on the cusp of eternal greatness. However, despite their potent play, the Predators would do well to improve their attack. Sure, the team ranks within the NHL’s top-15 in goals per game, however, adding a consistent and dynamic offensive threat could be exactly what Nashville needs to capture the Cup. Primarily a renowned shooter who can overpower opposing goaltenders in a variety of ways, Tolvanen is also a terrific skater who boasts ample vision and the creativity necessary to generate high-percentage scoring opportunities. Although the Predators already boast a trio of talented wingers in Filip Forsberg, Viktor Arvidsson, and Kevin Fiala, adding a lethal scoring winger such as Tolvanen would immediately boost the team’s attack and create an unparalleled wealth of depth. Potentially headed to North America and, in particular, Nashville following the conclusion of the KHL season, Tolvanen’s impending arrival could prove to be the key piece which the Predators desperately need to succeed. Sure, he is only 18 years-of-age, however, if Tolvanen’s success in the KHL and throughout the Olympics serve as any indication, the native of Vihti, Finland will become an instant star once he graces NHL ice.